Just Which School Year is a Waste of Time? The tongue-in-cheek letter below was written by a parent to vent their frustration at the absurdity of the current school admissions system for summer born children, and the possibility or even likelihood that their child will have to skip a whole year of school in the future, solely because he entered Reception class AT compulsory school age and not before. 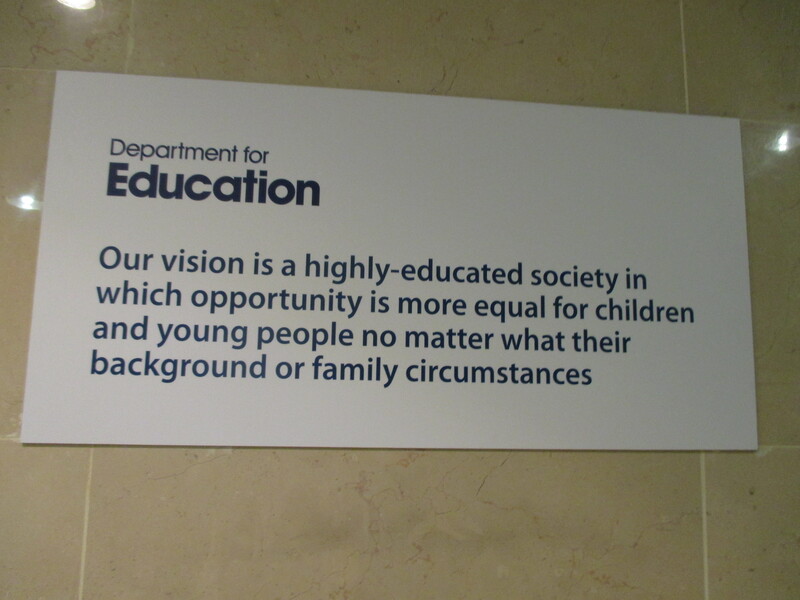 It is based on the very real situation parents and children are finding themselves in, and exposes the illogical stance that the DfE is taking by supporting ‘local decisions’ to re-shuffle children back into their ‘correct’ and ‘normal’ age group. I’m considering taking my 9 year old son out of school for a year and wondered if you could advise which year of education it would be most appropriate for him to miss? I’m aware through my correspondence with you regarding my younger son that missing a year’s education is not an issue in [County] since your schools are so good at differentiating the curriculum, but I wondered which one it would be most appropriate to skip? My younger son’s school have suggested that he may have to move forward without attending year 3, so I assume that year mustn’t be important, and it seems unfortunate that my eldest son however has already wasted time studying that curriculum. Would it be ok therefore if I keep my eldest son at home for year 6, and then he can re-join his cohort in year 7, since this is another year that it’s been suggested my younger son may be able to miss? Or perhaps it’s the first year of secondary school that is most unimportant (it’s also been proposed that my younger son moves straight from year 6 into year 8)? As you can see I’m really confused by this issue, as I don’t want one son wasting time in school doing a curriculum that isn’t really important, and I’m having difficulty working out which year would be best for my other son to miss. I’d be grateful for your guidance on this issue. Also can you confirm that we won’t be fined for my eldest son missing a year of his education? After all, if it’s ok for his brother to miss a whole year of study, it should be ok for him too shouldn’t it? This entry was posted in CAMPAIGN UPDATES. Bookmark the permalink. 6 Responses to Just Which School Year is a Waste of Time? Fantastic letter and highlights very well the issue facing summer borns which is completely disregarded by the current admissions system. Why should any child miss a year of learning whether in early years or later in formal education purely as a result of date of birth. While admissions authorities and schools insist that they are able to cater for the needs of all children and that it is not an issue, there are a number of studies that suggest otherwise. I’m ashamed to admit that I am taking my daughter out of school for a 2 week family holiday. Shame on me for having family time with my kids in a relaxing and fun and educational environment. For this I will be paying the princely sum of £240. I am sorely tempted to issue each and every adult in the LAs education department with a £60 per week fine for each week my son misses of his primary education. They have so far told me it’s primary school start in reception at age 3+53 weeks or year one at age 5. I’m already sick of the process but will keep fighting for the rights of my little boy. Brilliant letter. Facing similar issues with my summer born daughter, so would love to see a comprehensive reply from the DfE on which year they consider is unimportant enough and can be skipped as forced by local authorities. Great letter. It is absurd that a child doesn’t need to be in school until they are statutory school age, but yet are ‘allowed’ to skip the year which is designed to give firm foundations…. This should not be tongue in cheek – send it! Everywhere!